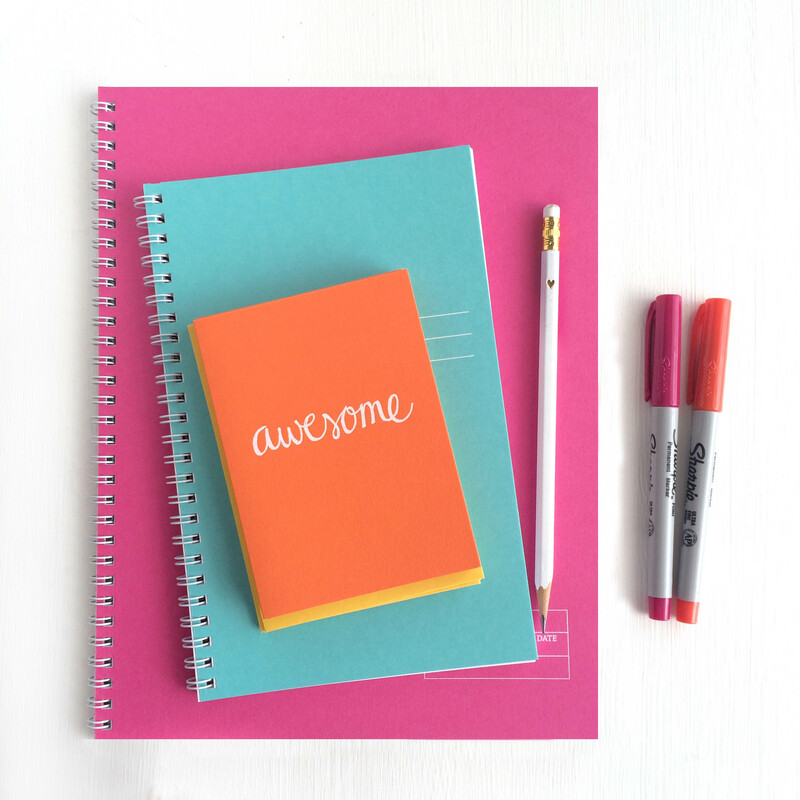 Get ready for the school year and beyond with the new planners in the shop. 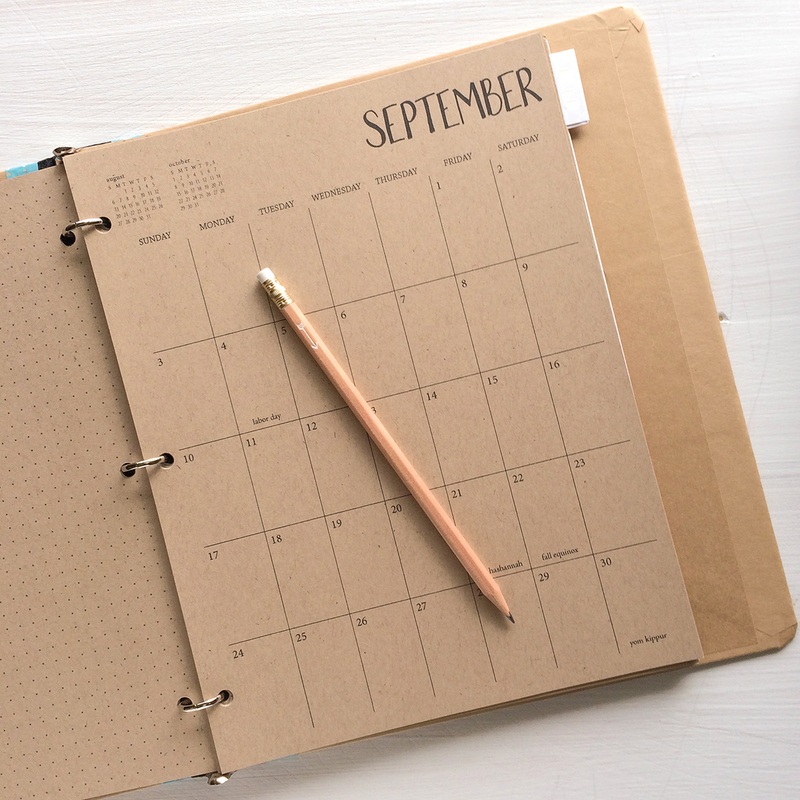 Academic, weekly, monthly, spiral, binder sheets – there’s a lot to choose from. Orders yours before September 1, 2017 and save 20% off orders of $20 or more. at all times i have too many notebooks on my desk. i was a typical paper person since childhood. 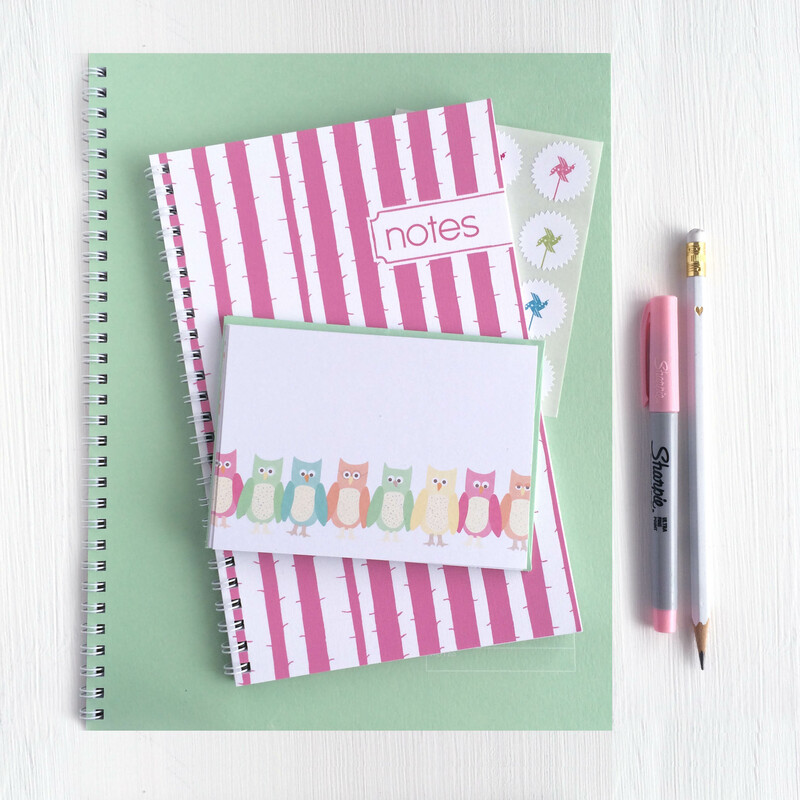 back to school meant picking out new notebooks and folders. in college i had notebooks for every course filled with lots of notes and mindless doodling (mostly from physics class – those classes were the worst for me). in my first job after college there was always a notebook on my desk to write down voice mail messages and things to do. i was right next to the office manger and made sure she ordered the correct notebooks. 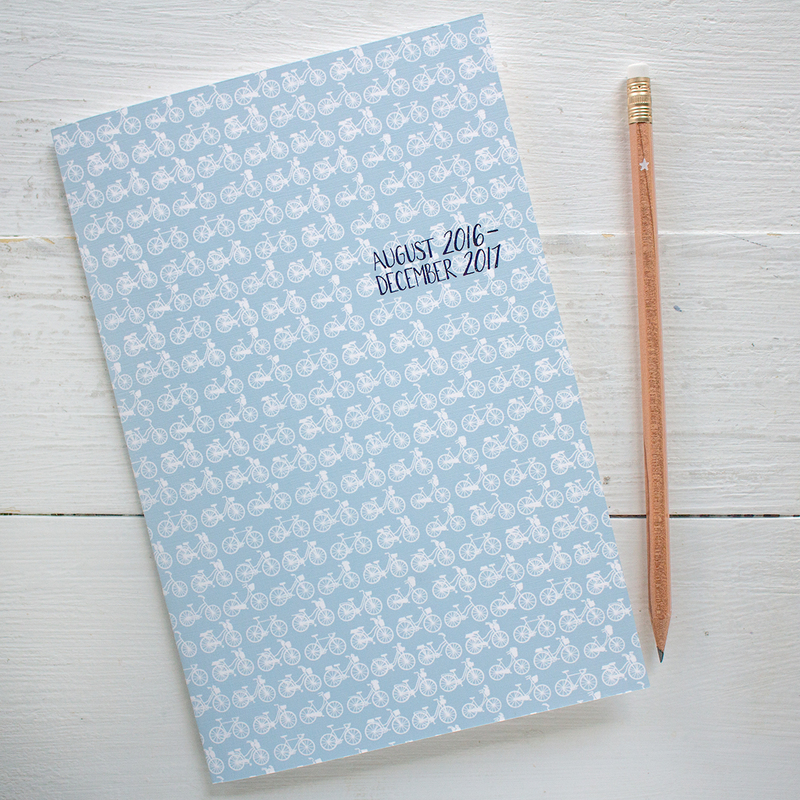 right now, i have lots of sample notebooks and planners around that i get to use everyday. here are the 5 that are currently sitting on my desk. square notebook – this is the notebook i use the most. most mornings i will write down my to do list in here. i like the small page size so i don’t keep filling up the space with things to do. plus, it’s nice to start on a new sheet everyday. i don’t bullet journal – seems like there are way too many steps/rules/back and forth for me. i like a nice simple list of what needs to get done. 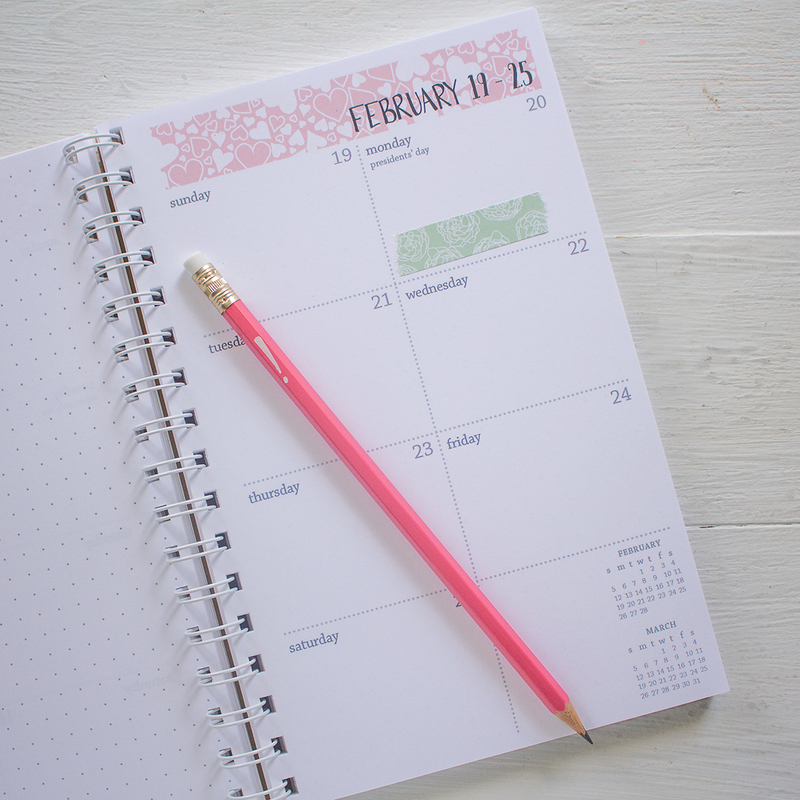 large project notebook – the national stationery show is coming up and again this year i will have a booth (#2062 if you’re going to be there). 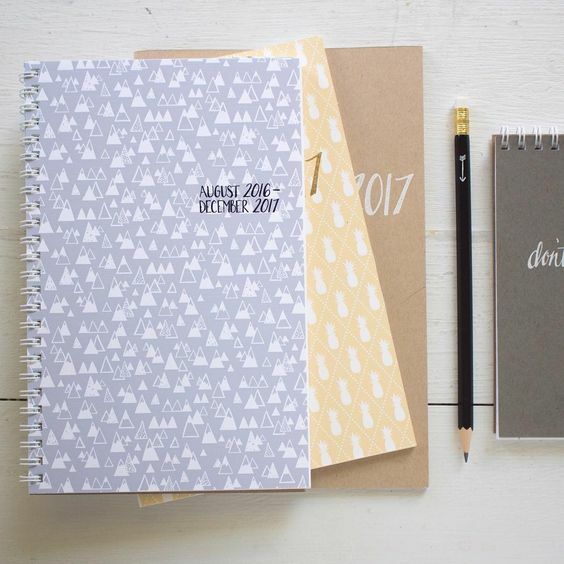 this large notebook is keeping things (kind of) together. 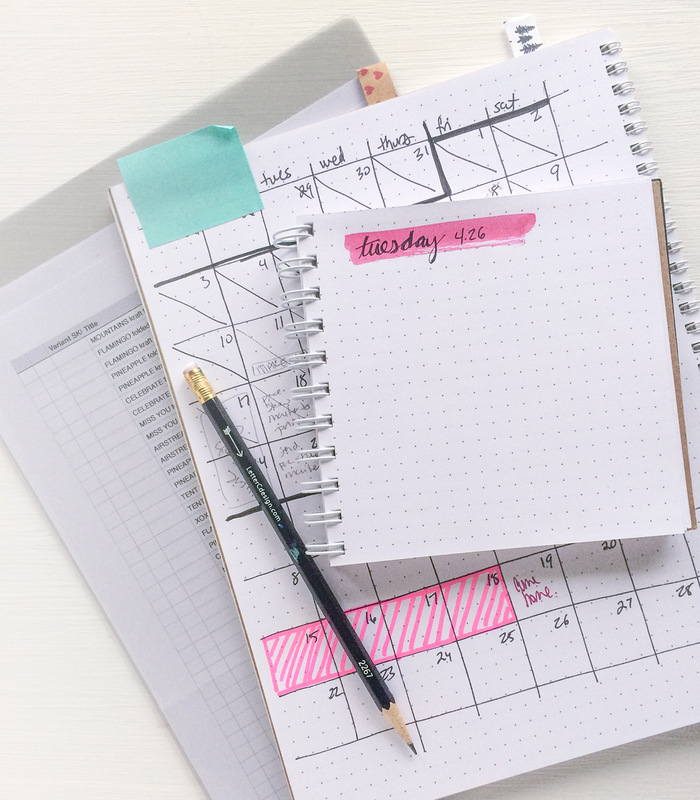 the combination of the dot grid and lined pages work great for project planning. 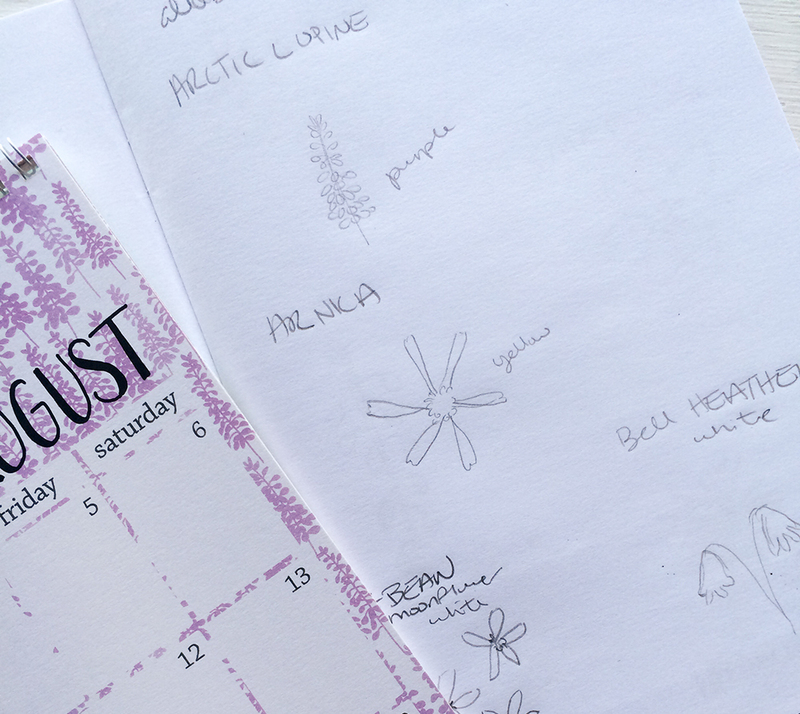 on the dot grid pages i have calendars drawn out, booth sketches and charts. the lined pages have lots of lists, to dos and ideas scribbled. to keep track of the pages i refer to the most i have post it notes and folded stickers marking the pages. i use these clear folders to keep together all of the extra papers i need. 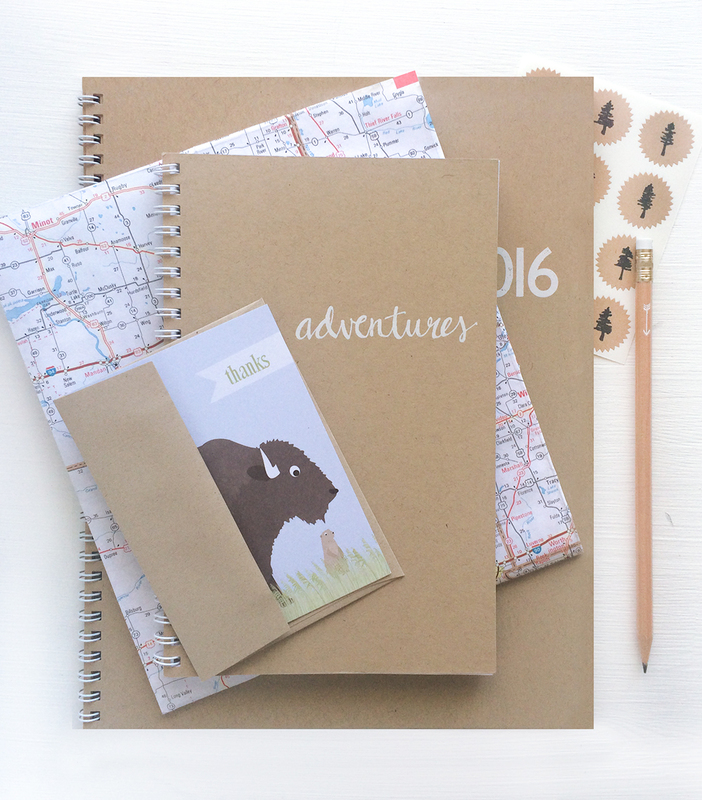 travel notebook – these notebooks are everywhere. this is the current on one my desk. there are random lists, recipes, sketches of new products or a desk i want to build. there are also a crazy amount of pages that have the same word written over and over. i use the words to create new products or other items. i keep writing the same word over and over again until i get what i am looking for. 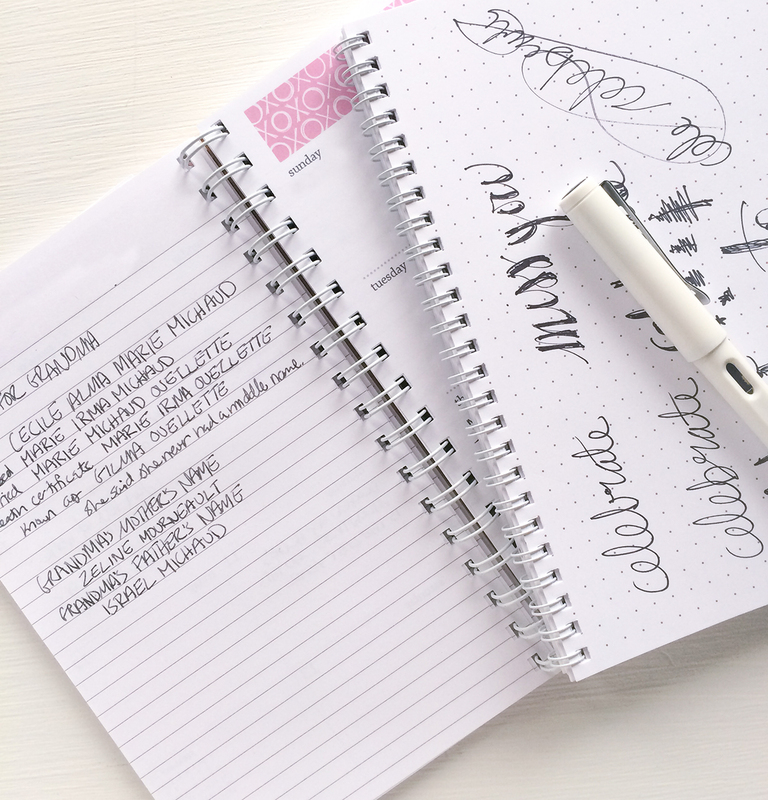 the dot grid pages keep things consistent and make it easy to digitalize the words without a lot of editing. 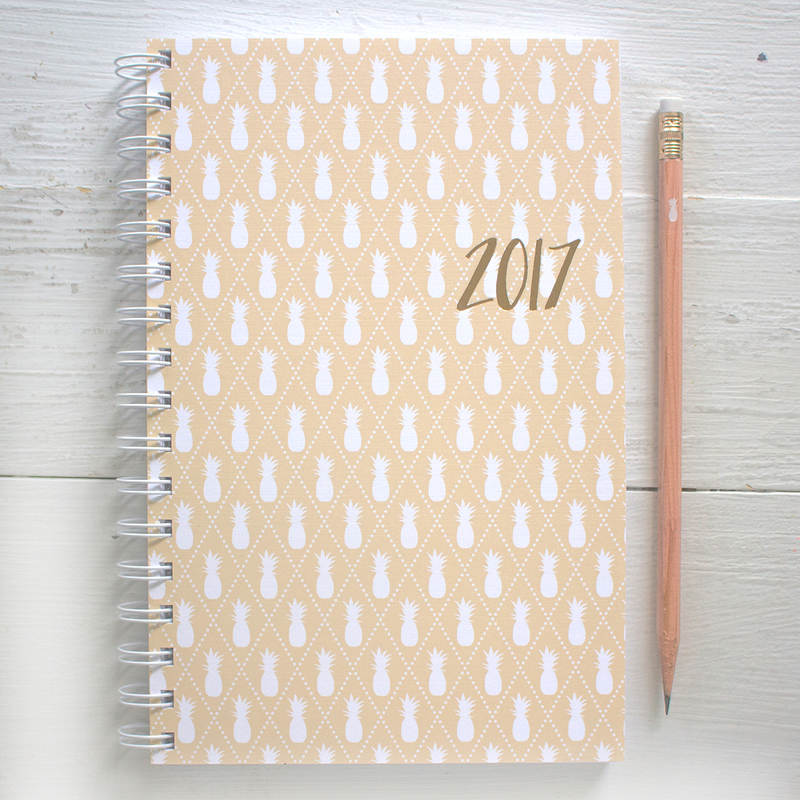 2016 weekly planner – i’ve always a liked the idea of keeping a journal or diary to look at years later, but it’s just not my thing. this year i decided to use one of the weekly planners and just make a note of somethings i might want to remember later. about once a week i will fill in a couple of things that stick with me. it’s usually not much – maybe what i cooked when people came over or where i went on a walk with my sister. on the left side, i will sometimes clip a little drawing from one of my nieces or write some interesting fact i found out i want to remember – like when i figured out all of the names my grandma had. 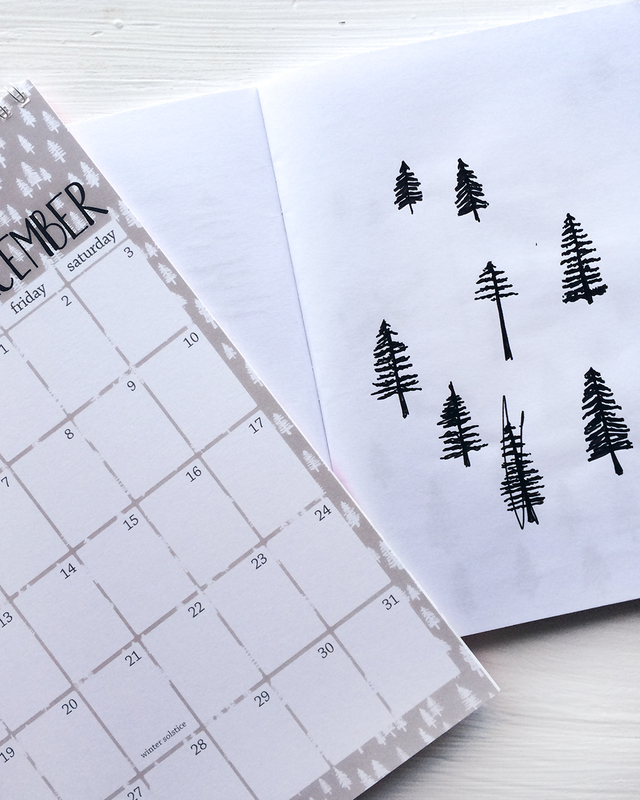 there are weeks missed, but in the end i am hoping to have a nice little recap of little memories for 2016.
monthly planner – here’s where i write down any appointments i have and when bills are due. easy. mother’s day and college graduation is coming up. here’s a few gift ideas to show you care. 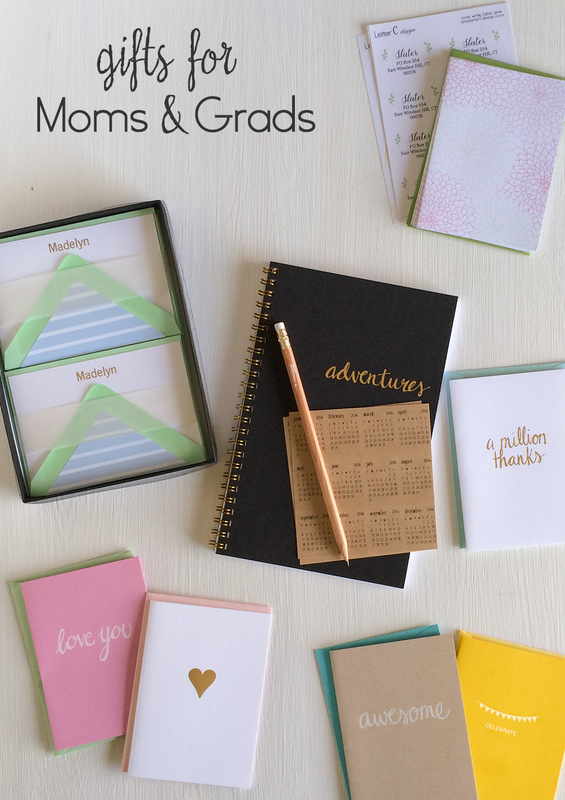 – pair address labels and folded notecards to make a cute gift set. – personalized foil stamped notecards with lined envelopes – pick and choose the colors and patterns to fit any personality. 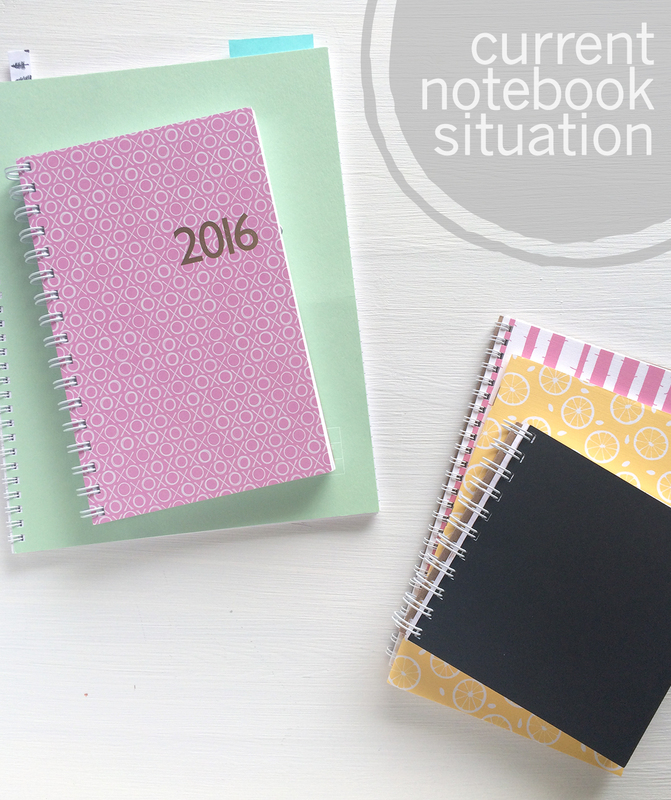 – notebooks for journaling or planning ahead. 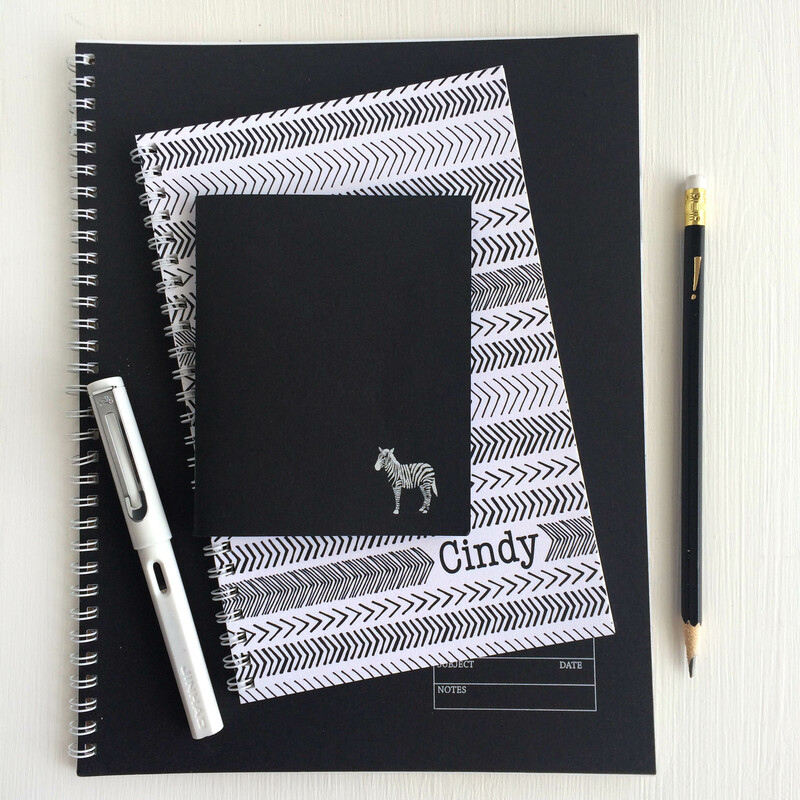 personalized or foil stamped. – a set of thank you cards will come in handy for graduates when they are starting their career. address labels are kind of like the gateway drug to letter C design – once someone buys them they come back for more letter C goodies. the labels are useful, inexpensive and with so many options you are likely to find one to suit you. 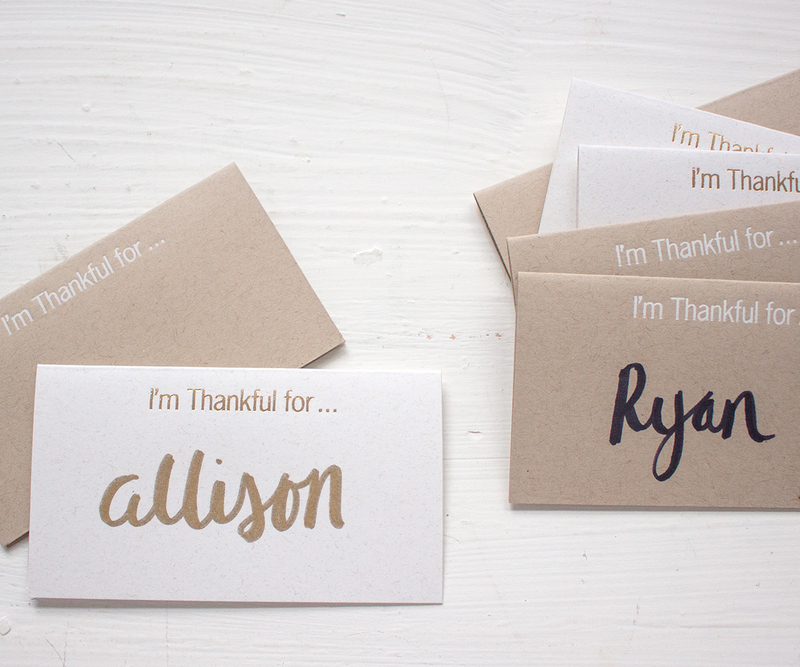 gift labels – add these personalized stickers to gifts, envelopes and treats. book stickers – such a great gift to give to a newborn. you can even create a book themed baby shower. wine labels – add these to a bottle of wine so people know which wine you brought to the party. homemade goodies – if you are always whipping up yummy treats in the kitchen for friends a set of these won’t last long. 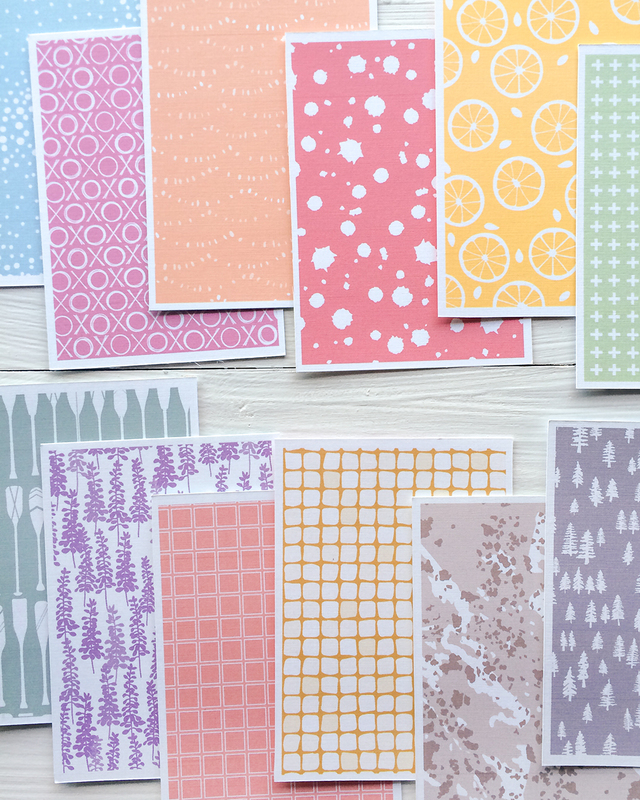 envelope seals – there are lots of stickers in the shop to use as envelope seals, but it’s lots of fun to create your own. 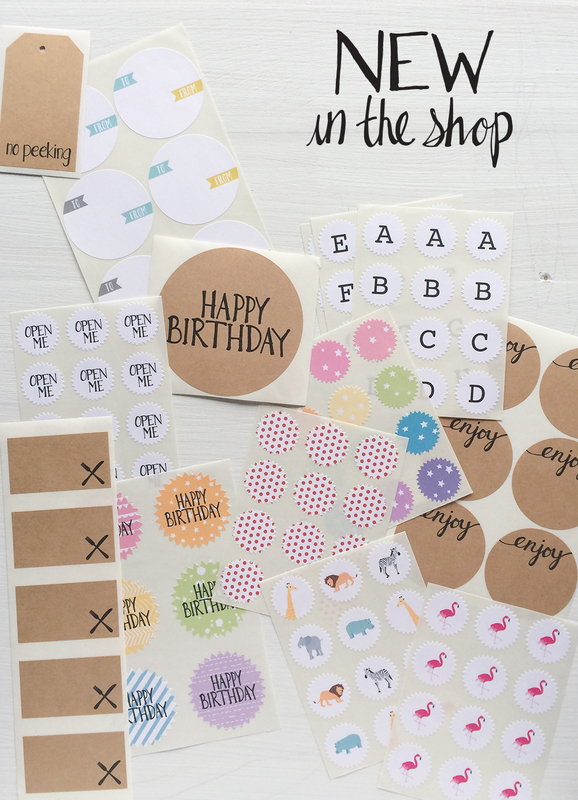 party favors – add a special touch to your party favors with some cute little stickers. lunch – make sure your kid doesn’t get hangry by marking their food. hostess gift – whether you stayed at someone’s house for a weekend or just went over to dinner sending them a set of personalized labels insures you will be invited back again. just moved – anyone would appreciate a set of address labels as a gift for their new home … one less thing they have to do. 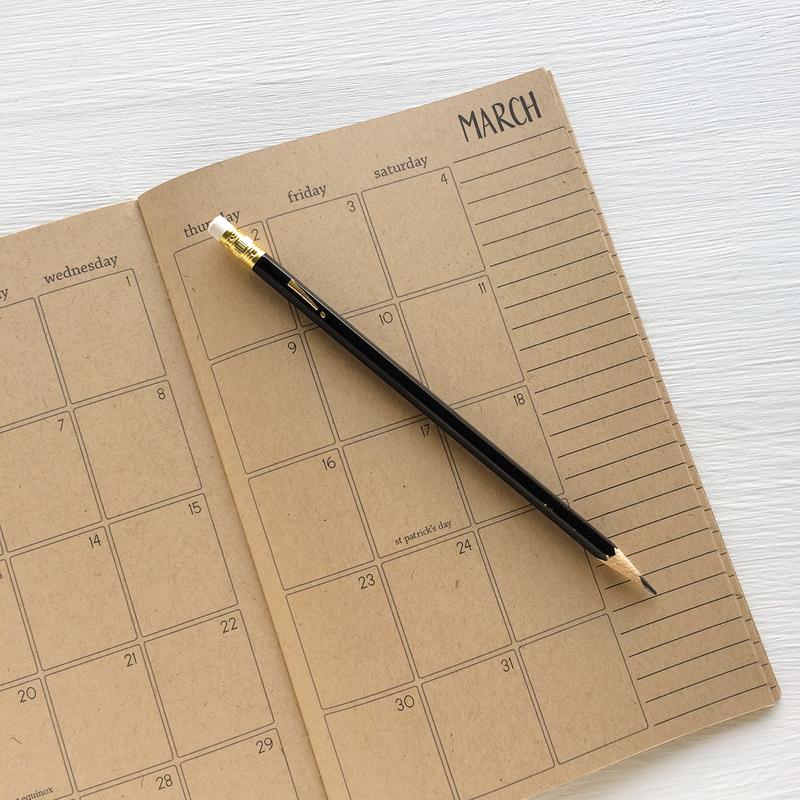 starting or finishing college – if i had address labels in college i know i would have written home a lot more (but i’m old, email was barely a thing back then). 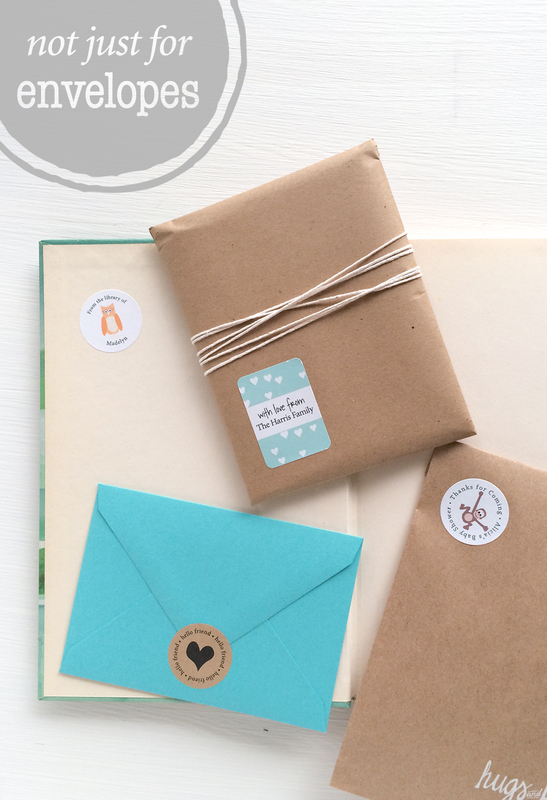 check out all of the labels here and free gift wrap is available so you can send them directly to your friend. if there is a label design you want but can’t find, let me know. i love to see how you use them – tag lettercdesign on instagram if you want to share. new products have been added in the shop. 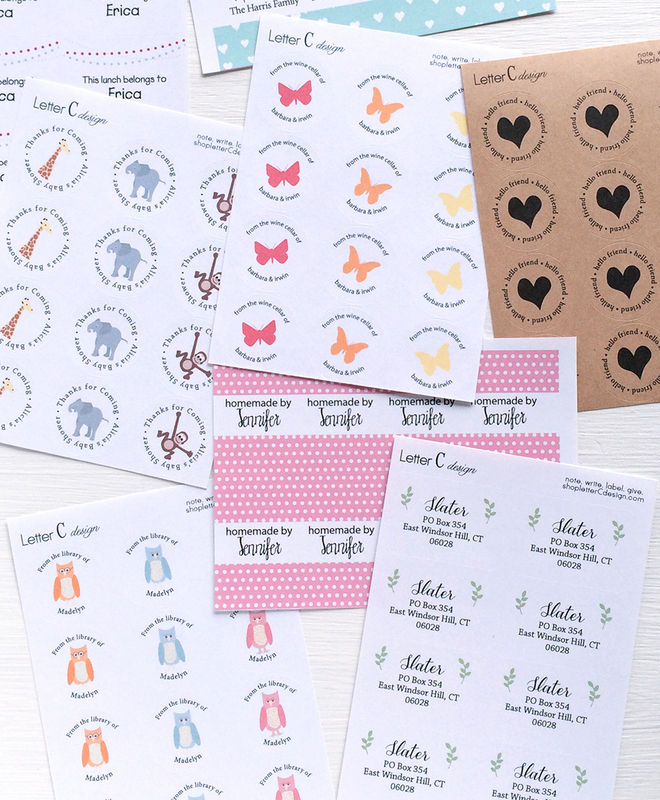 lot of stickers for adding cheer to gifts, tops of mason jars, envelope seals and labels. 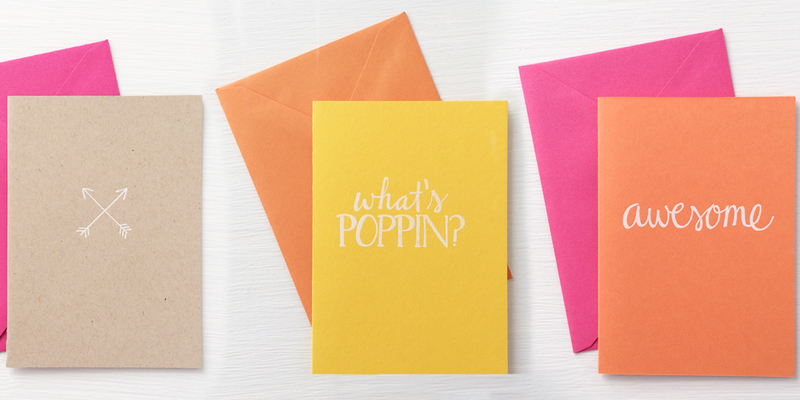 hand foil stamped notecards for any occasion. 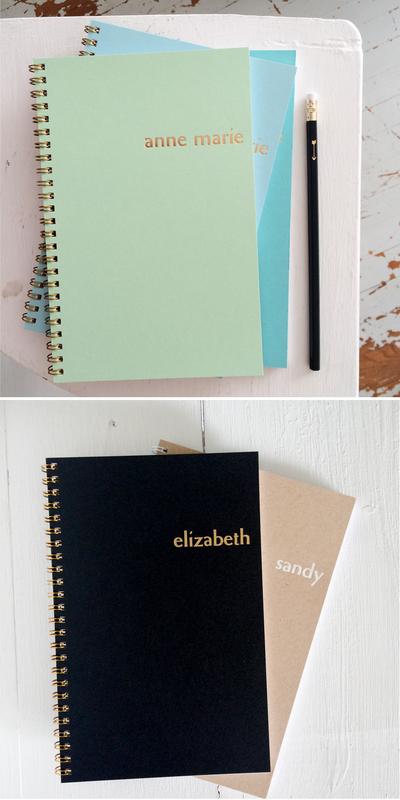 personalized hand foil stamped notebooks – in gold or white foil. 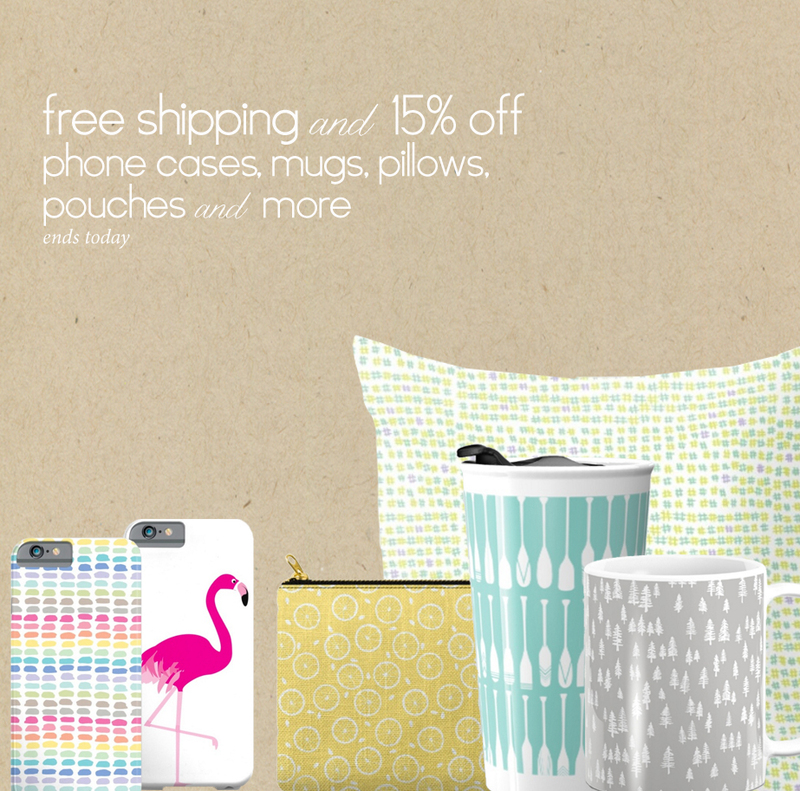 hop on over to the Letter C design Society6 store and save 15% off and free shipping today. i’m extra excited about some of the designs there because they are a collaboration with my niece! There’s more on the way, but the hashtag and flower tops are her first patterns. 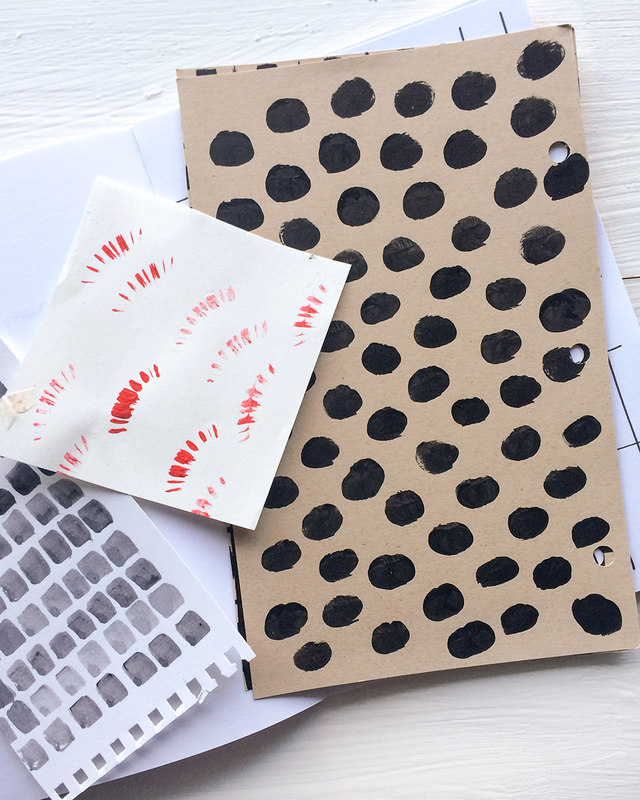 playing around in the studio today – mixing and matching notebooks. so many choices, there’s something for everyone. black and white for the classic minimalist. rustic and natural for those who love the outdoors. bold and bright for the happy-go-lucky. cheerfully pastel for the sweetie pies. 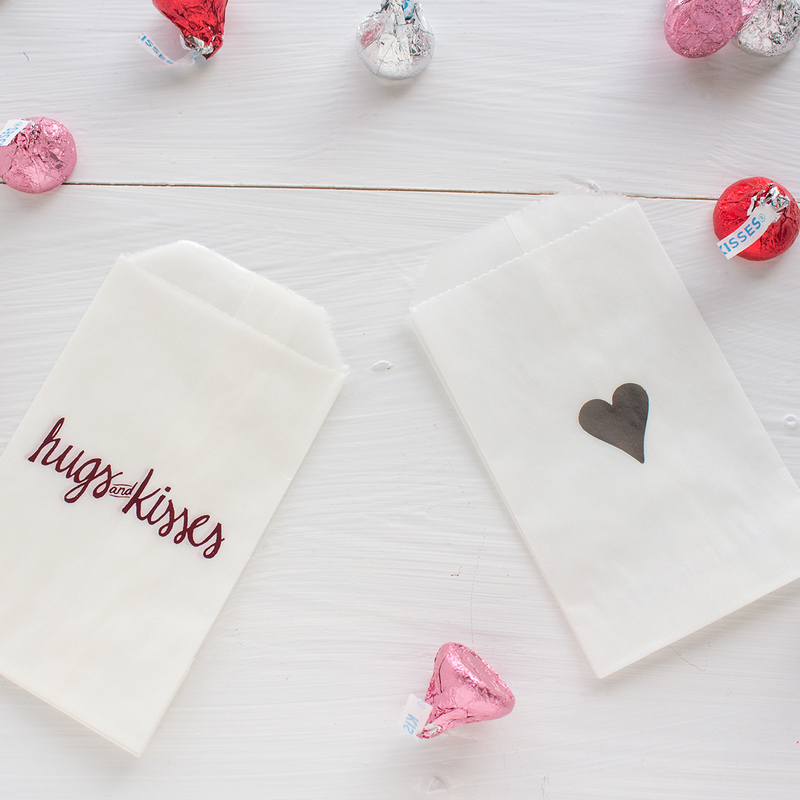 these foil stamped glassine bags are a simple and sweet way to spread a little cheer to all those you love this valentine’s day. fill them with candy, homemade goodies, stickers and other tiny gifts. 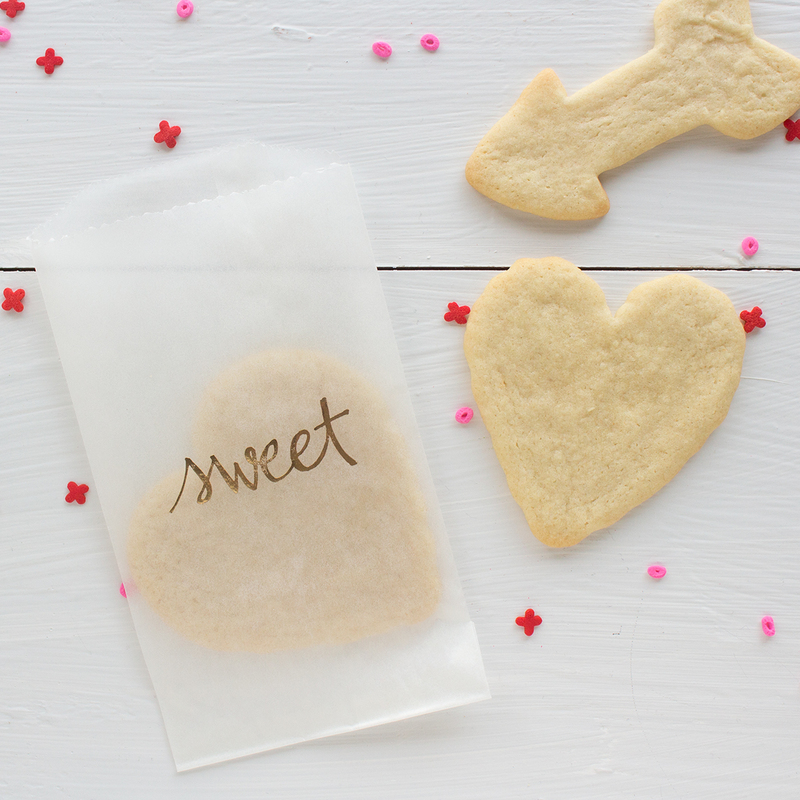 use heart and arrow cookie cutters with sugar cookies and tuck them inside the bags. with the adorable packaging you don’t even need to decorate them. 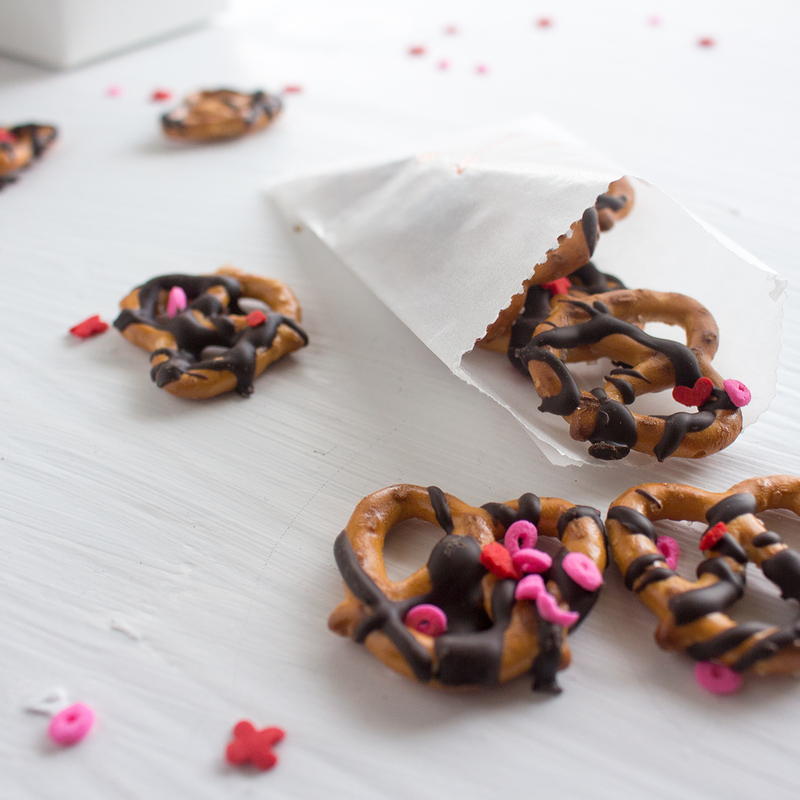 my favorite filling is chocolate covered pretzels. they take minutes to make, but look impressive. 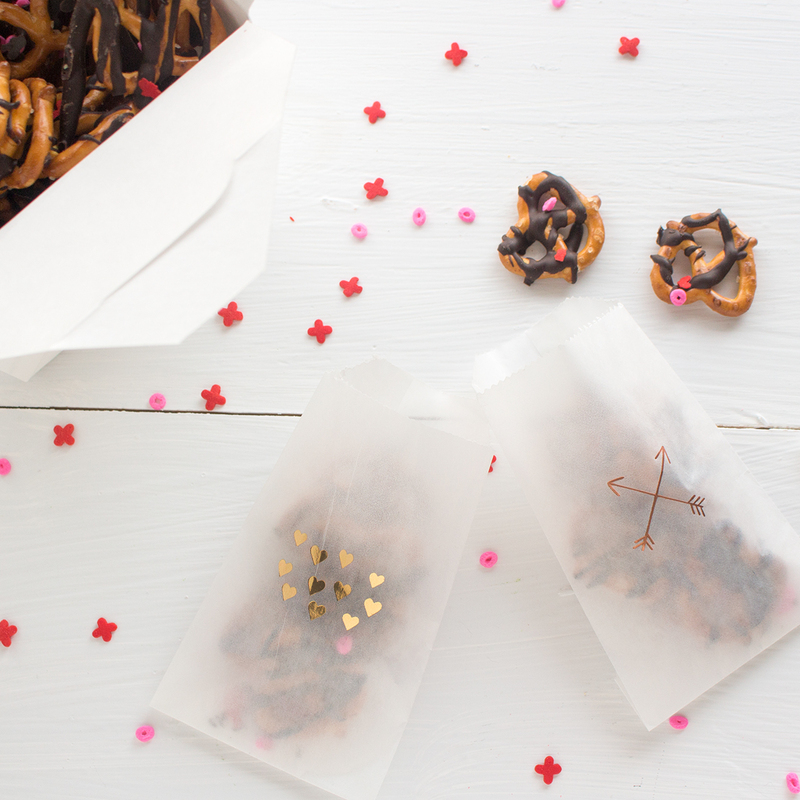 put some pretzels on top of wax paper, with a spoon drizzle some melted chocolate over the pretzels and let the chocolate set. for a special touch add some valentine sprinkles on top. i picked up these adorable wilton xo sprinkles from a local store. 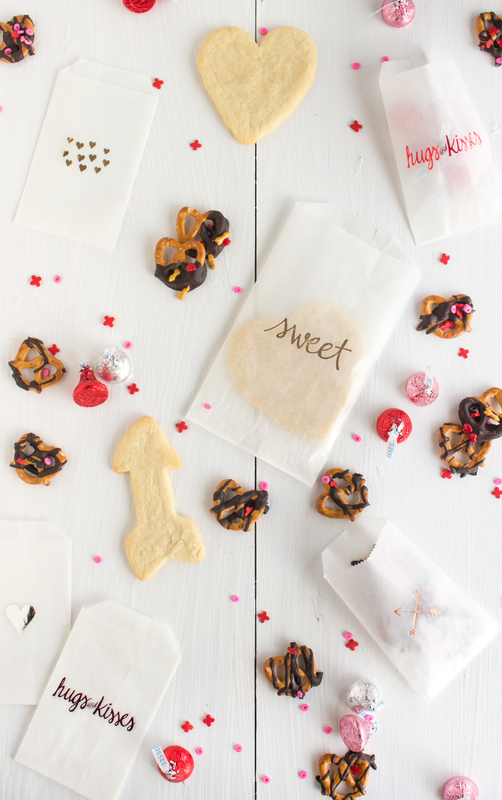 what will you fill your treat bags with? 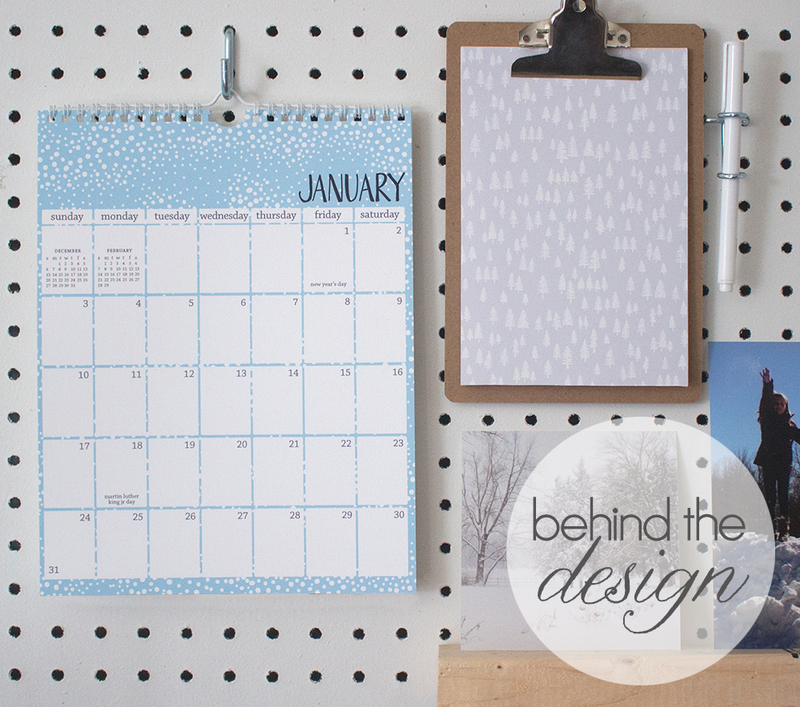 since 2008 i have been designing pattern calendars. it took a few years, but i now have a process of how they are designed. here’s a little look behind the design. in the back of my mind i am always thinking about patterns. when i start to work on the calendars i go through notebooks and planners to see what i have been randomly drawing, as well as take a look through my photos on my phone. once i see what i have, i make lots lists of all pattern options. there are a few themes i like to show up each year – ocean/nautical, trees, snow, florals, lines and loops – so i make sure to include them. once i have an idea what i am looking for. i paint, sketch and digitally draw the pattern elements. then everything is scanned in, cleaned up and turned into repeats. after the patterns are created i start to work on color. i will fill up my screen with lots of little blocks of color choices, then narrow it down to about 15 colors. patterns and color options are printed up. then the blocks of paper are mix and matched until i get something i like. i just checked. thanksgiving is just two and a half weeks away. it doesn’t seem right to me. here are a few items to make decorating your dinner table easy. 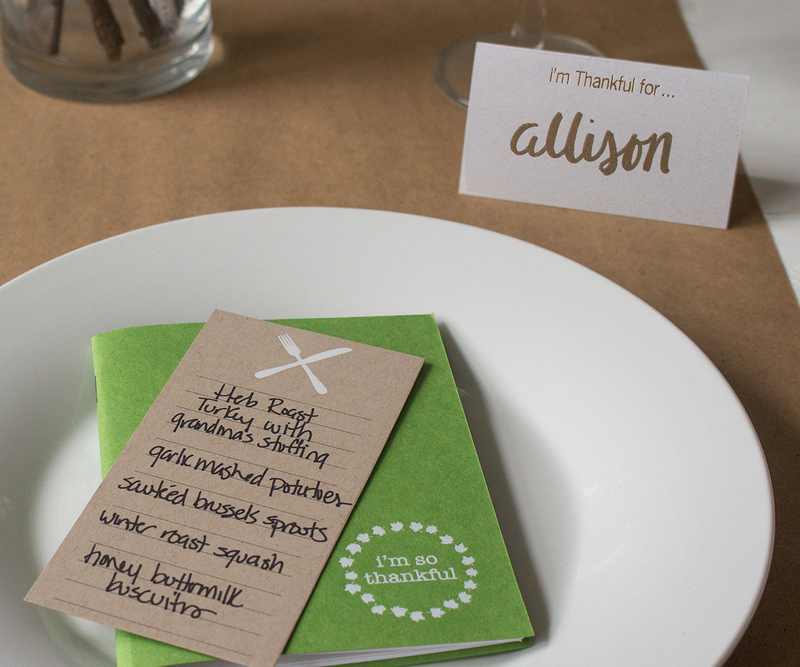 the “I’m Thankful for … ” place cards and pocket journals have been a hit for years. 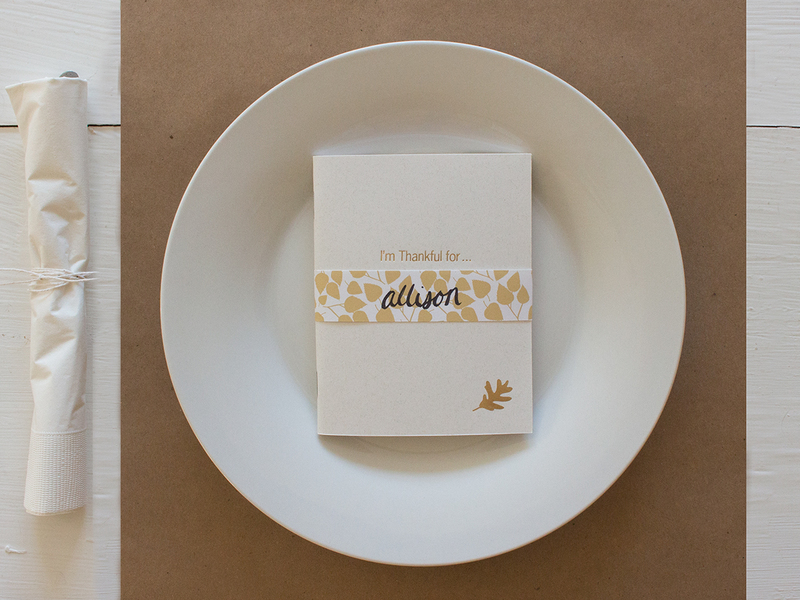 the cards work as place cards or if you have more food than table space, buffet markers. the fork & knife list cards is something i have been using in the kitchen a lot lately. they are perfect for writing down my shopping list and recipes from the computer. 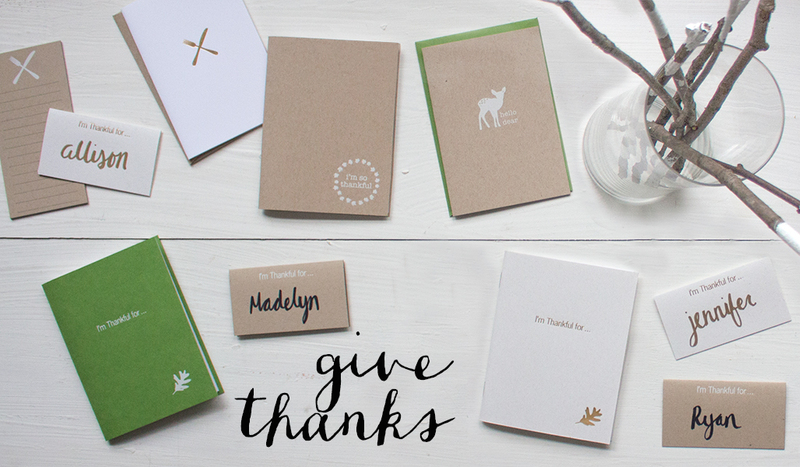 both of the journals make a great gift for your dinner guests or as a way to record your holiday memories. need a wrap for your journal or silverware? here’s a download of the gold birch wrap shown above. print it out and cut it up.